I’m in a season of transition. And as anyone who has ever given birth knows, transition is painful. Transition is scary and uncomfortable. But it’s also temporary. And it always ushers in new life. 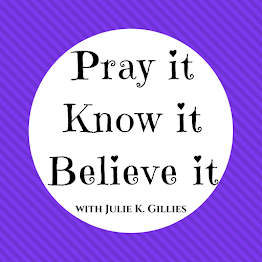 I’ve learned one simple prayer and prayed it over and over as I sense the times and seasons in my life begin to transition. Prepare my heart, Lord. Make me ready. Our youngest child (and the last child living at home), is leaving next week, and my husband and I will be empty nesters. It’s a startling and difficult transition, but one I am preparing for by asking the Lord to make me ready. Prepare my heart, Lord. Make me ready. As I ask the Lord to make me ready, He does the deep work I cannot. He enables me to endure waves of discomfort…and He brings an end to my pain and brings forth fresh, new life. 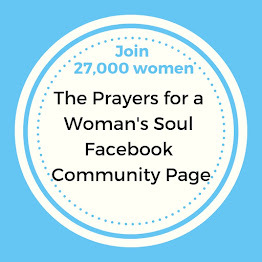 Next week is the launch of the Prayers for a Woman’s Soul Online Study, and I am believing God for beautiful new things for you! If you will be participating, ask the Lord to prepare your heart. You may already be in a transition of some sort, or this study may bring a much-needed transition. Either way, ask Him to make you ready for all that He has for you. Because when we long for heart and life transformation, it requires transition. And that means we will need to cooperate (that’s the prayer part), endure, and refuse to give up. But remember God is in it, He enables us, and the discomfort of transition is always temporary. And then the Lord brings new freedom and fresh, new life! And that’s what this online study is all about. Fresh, new life. Fresh, new hearts. A fresh, burning love for Jesus. So stir your hearts. Get excited. And this week shift your focus. Turn your eyes toward Him. And pray one simple, powerful prayer. 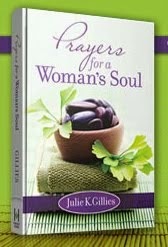 Julie, gonna share and pray your prayer right now! I am so looking forward to the OBS and have a friend that signed up as well...waiting on our books, but sure they will be here in time to get started! Happy Tuesday! 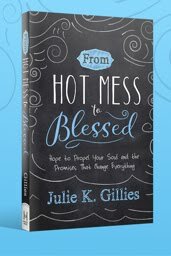 Julie, may God tenderly help you through the transition to empty nest. You're right -- it will hurt, but then there are fresh new things on the other side. It's a mixed bag, that's for sure. All the best!